Earlier this year, UK audiences welcomed back John Cleese in Hold the Sunset. While it had been 43 years since the comic genius last appeared in a BBC sitcom, his last one, Fawlty Towers, didn’t do too bad for itself given it will forever be recognized as perhaps the best sitcom of all-time. For those expecting to see Basil Fawlty in his sunset years, think again. Hold the Sunset is decidedly toned down from the frenetic pace of Fawlty Towers. 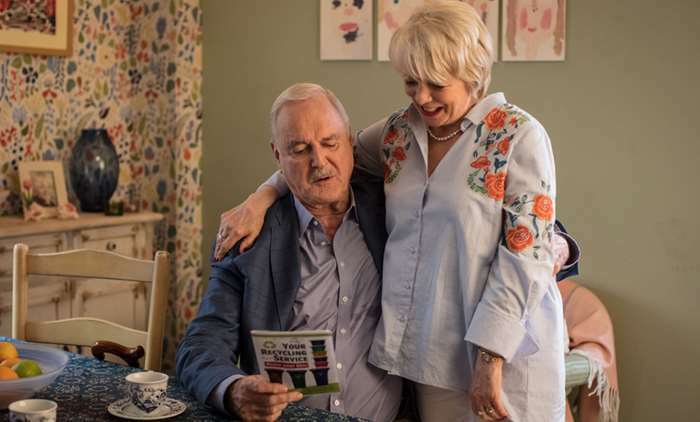 Series one just concluded on BBC1 with an American public television broadcast targeted for Fall 2018, Hold the Sunset stars John Cleese, Alison Steadman and Jason Watkins. While the BBC has still yet to officially announce the commissioning of a second series, Cleese confirmed on Twitter recently that there would, indeed, be a second series. Based on the fact that the series averaged an audience of just under 5 million across the run in initial overnight viewing figures alone making it one of the BBC’s most-watched comedies in recent years, I’m going with Cleese on this one. Cleese confirmed his earlier tweet while discussing his previously announced intention to leave Britain if moves towards press regulation and the so-called ‘Leveson 2’ enquiry were not passed by Parliament back in May. 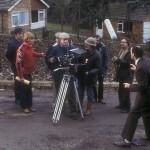 He said: “I will be leaving in November, after I’ve finished shooting the second series of ‘Hold The Sunset’.” Cleese, who backed the ‘leave’ movement in the 2016 EU referendum, cited his frustration with British press and the current standard of debate surrounding Brexit in confirming his intention of heading to the tiny island of Nevis (population 11,000 on a good day) in the Caribbean following the conclusion of filming on series 2. The first episode of the series introduces us to Phil (Cleese), a widower whose friendship with Edith (Steadman), a widow who lives across the road, has very quietly developed into something more. Unfortunately, Edith’s son, Roger (played by Jason Watkins), didn’t get the memo about Phil and Edith’s plans for a quiet retirement filled with sea and sand. He leaves his wife, kids and job, crashes their lives, moves home and quickly becomes 50 going on 12. The interaction between Phil and Roger is priceless to where you see a brief glimpse of Basil Fawlty rise up every so often when Phil realizes how Roger is circumventing his future plans. Hold the Sunset also stars Jessica Hynes (The Royal Family, Spaced, Twenty Twelve, W1A), Anne Reid (Ladies of Letters, Last Tango in Halifax), Rosie Cavaliero (Mid Morning Matters with Alan Partridge), James Cosmo (Game of Thrones, Shetland, The Durrells) and Peter Egan (Reilly: Ace of Spies, Downton Abbey). 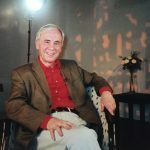 Hold the Sunset S2 will wrap filming later this year with S1 coming to American public television stations in the coming months. 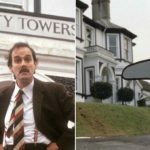 Swedish author discovers lost 13th episode of ‘Fawlty Towers’! 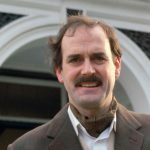 Fawlty Towers’ Gleneagles Hotel to get retirement living makeover?